to the largest audience possible. 60x60 presents the maximum amount of diverse new music on the planet. 60x60 achieves this goal by presenting the wealth the new music scene has to offer by including 60 different composers/sound artists that employ a vast diversity of techniques, genres, styles, and aesthetics. Composers range from young gifted prodigies to highly acclaimed veteran masters coming from nearly every corner of the planet. 60x60 presents to the largest audience possible. 60x60 actively seeks to find that listener unaware of the treasure which is found in the 60 one-minute miniatures. 60x60 has been presented in places where audiences would expect mainstream programs and offers the 60x60 program to be discovered by the listener. 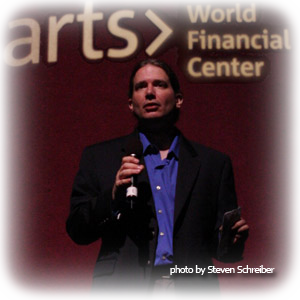 Performance of various incarnations of 60x60 have been presented in concert halls, theater stages, museums, art galleries, public atriums, bars, nightclubs, building facades, and street windows in New York City; not to mention radio airplay, television and Internet broadcast around the world. 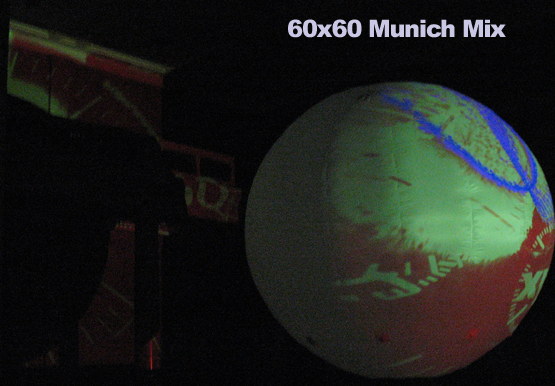 60x60 has been enjoyed by tens of thousands of people in venues across the globe. cutting-edge methods of presentation and distribution. Each year the project grows in artistic and distributive scope. Every year 60x60 has received more and more submissions now totaling in the thousands. 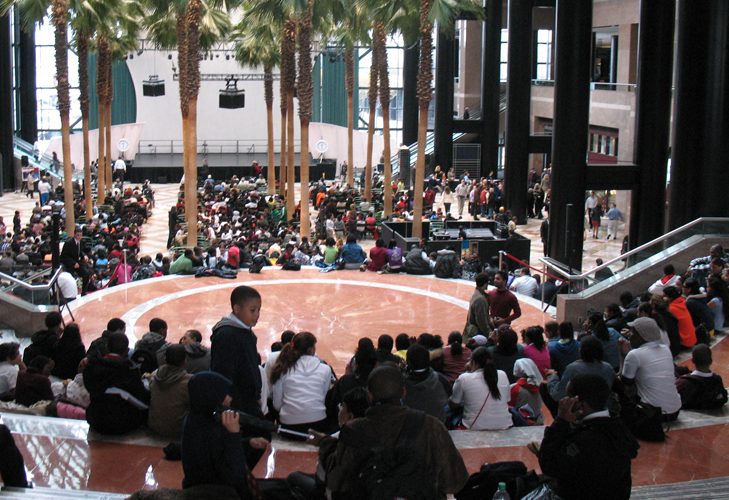 Over the past decade 60x60 has had hundreds of performances stretching around the globe including remote rural venues in place like Wallongong, Australia and Presque d'Isle, Maine to city centers such as New York City's World Finacial Center Winter Garden Atrium and London's Open Weekend for 2012 Olympics at Stratford Circus. Achieving its initiative, the 60x60 promotes contemporary composition across the globe. Some names are familiar ... while most are not, but therein lies a big attraction-discovery. 60x60 does not stop at promoting and presenting 60 composers and their works. Since the second year of the project's existence, 60x60 has created alternate mixes from the huge pool of submissions that are received each year. These alternate mixes present another 60 works to be presented. These alternate mixes can be subsets of geographic regions, based on a theme, or a particular type of submission that 60x60 receives more than 60 submissions. This extention of the project gives opportunity for performances that would not have taken place if only the International mix existed. Artists can also rally to encourage and promote each other rather than compete with each other like in traditional contests or performance opportunities. 60x60 is about inclusion; representing a slice of what is happening in the new music scene. Music being the thread woven through the tapestry of so many art forms, a natural extension of 60x60 has been to collaborate with artists of other media. 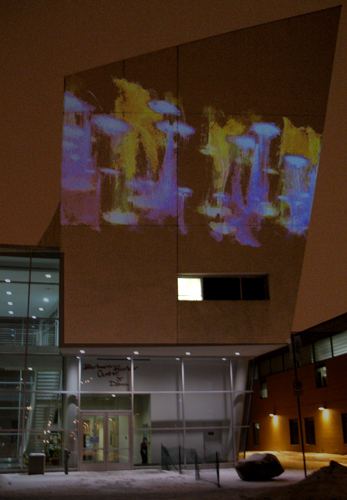 From the very beginning 60x60 has collaborated with video artists to create a visual representation of the music miniatures. Soon after, other artistic disciplines such as photography and dance started to colaborate annually with 60x60. 60x60 Dance -- a one-hour multimedia extravaganza featuring an exciting mix of contemporary dance and electronic music. Embracing a grass-roots ideology, 60x60 Dance takes 60 one-minute audio works culled from an international pool of emerging and established composers and assigns them to an equal mix of 60 local choreographers assembled by dance coordinator or "macro-choreographer." The resulting collaborations are presented, without interruption, as a continuous one-hour performance synchronized to an on-stage analog clock. 60x60 Dance gives an energetic twist to 60x60 offering fast past dances of varying styles and aesthetics. The synergy that is created between modern dance and contemporary music is unparalled to any other performance. Both choreographer and composer have never been previously paired together creating a magic combination which audiences thoroughly enjoy. Starting with the very first mix, 60x60 has collaborated with video. 60x60 Video is an hour of video which is synchronized to the audio mixes of 60x60. 60x60 Video has collaborated with video artists, experimental filmmakers, and VJ's to pair the 60 different audio compositions with video. The visual element of this version of the project gives a chance for film screenings in festivals where contemporary music is rare, exposing music to new audiences. This format also lends itself to installation opportunities which give way for interesting art performances to eager audiences to expereience something new. "The word 'viral,' comes to mind as a trendy but disquietingly accurate image for Robert Voisey's infectious enthusiasm. He is always ready to mutate and reinfect the process as indicated to maintain the highest degree of project fever - and yes, it is spreading."